Apex Legends dominates the week as a free, fast-moving, heavyweight contender in the Battle Royale space, while God Eater 3 challenges Monster Hunter: World, Away: Journey To The Unexpected proposes a lightly randomised, lighthearted adventure, Etrian Odyssey Nexus closes out a Nintendo 3DS era, and Monster Energy Supercross 2 offers stadium dirtbike racing with a map editor on the side. Solid, surprise last-trio-standing spin on both the Battle Royale genre that is home to Fortnite and PUBG, and Apex Legends underappreciated parent franchise Titanfall. Free-to-play, 60-person matches, with movement and action prioritised, plus more modes and characters to come. Supported by paid loot boxes, unlockable characters, and cosmetic upgrades. Action, friendship and negotiation combine in this almost ridiculously upbeat but relatively short-lived first-person adventure, with slightly randomised boss levels and set in the aftermath of an accident that has begun turning the land’s people into monsters. Win by successfully recruiting allies who can help you on your way. Monster Hunter: World strode to great success by simplifying its franchise formula; rival God Eater 3 aims to make the same sort of revision. So expect a similar loop of human vs might monster combat, upgrading equipment, going back out into the field, with less depth but greater accessibility. 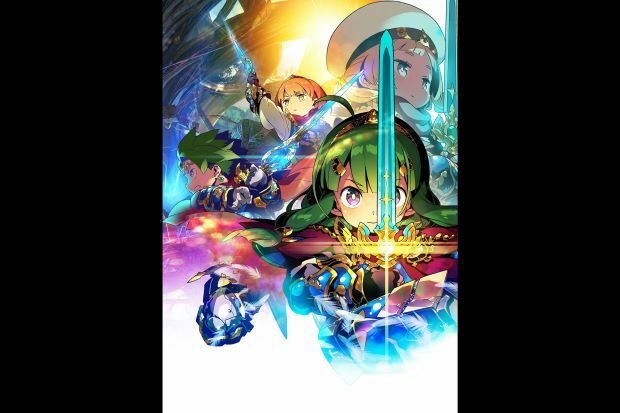 Floated as a conclusion to the Japanese role-playing adventure series Etrian Odyssey, or at least as far as its 3DS run is concerned, this is likely one of the handheld’s last big name releases, along with Yo-Kai Watch 3 in North America (Feb 8), Kirby’s Extra Epic Yarn (March 8) and Persona Q2 (June 4).